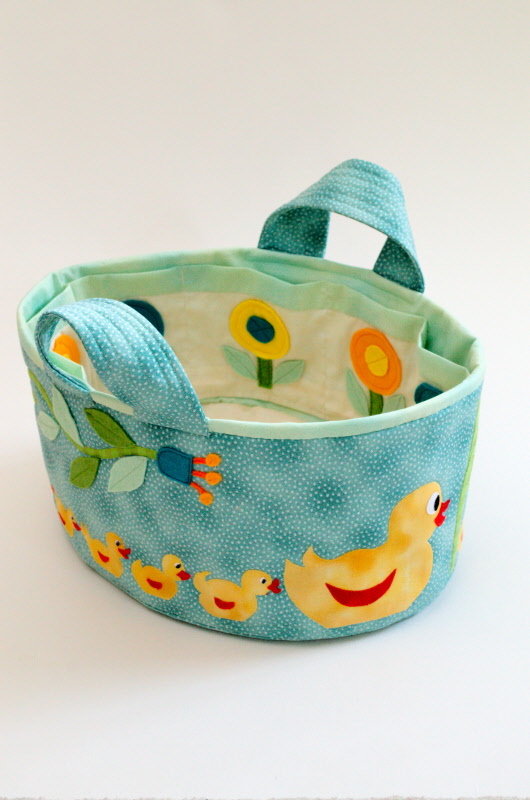 This adorable little basket would grace any nursery or child's room. Using the fusible applique technique the basket measures 15 inches long, 11 inches wide and 7 inches high. The stiffener along with the pattern is included.